International Nuclear Services Limited (INS) is a wholly-owned subsidiary of the Nuclear Decommissioning Authority (NDA) and has extensive and proven expertise in irradiated fuel management and nuclear material transportation. We offer our customers a wide range of consultancy services, strategic assessments and feasibility studies relating to irradiated fuel management and transportation. We also support utility customers and government agencies with advice on the strategic and technical options relating to the back end of the fuel cycle. INS has significant experience of package selection, design, finite element analysis (both mechanical and thermal), engineering, licensing and operations. We provide a complete range of flask design and approval services that meet the appropriate regulations and our customers’ requirements, with more than 40 years experience of providing services to customers in the UK and overseas. Our experience includes packages for a wide range of materials, from fresh uranium and MOX fuel, to irradiated fuel and high level waste. We also have the expertise to provide customers with specialist services associated with the transport of nuclear material, including safety, security, logistical services and comprehensive 24-hour global emergency response support. 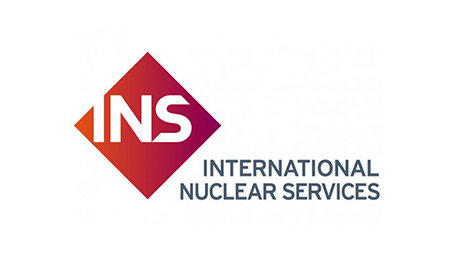 INS is also the commercial arm of the NDA, managing NDA’s contracts with UK and overseas customers for services from the Sellafield and Dounreay sites. We work closely with our NDA sister companies Direct Rail Services Ltd (DRS) and Radioactive Waste Management Directorate (RWMD) on both a consultative and commercial basis. In addition INS has unique access to any Sellafield pre and post-2005 material studies and intellectual property that may be needed in any package material performance assessments. INS also operates a subsidiary company Pacific Nuclear Transport Limited (PNTL). PNTL is owned by INS (68.75%), Areva (12.5%) and a consortium of Japanese nuclear companies (18.75%) and its fleet is managed by Serco Limited. For more information please access the PNTL website on www.pntl.co.uk.